Facebook has struggled to respond to the allegations following the Cambridge Analytica data breach, and their own employees have been in the dark. Facebook Inc.’s grim week is getting grimmer. 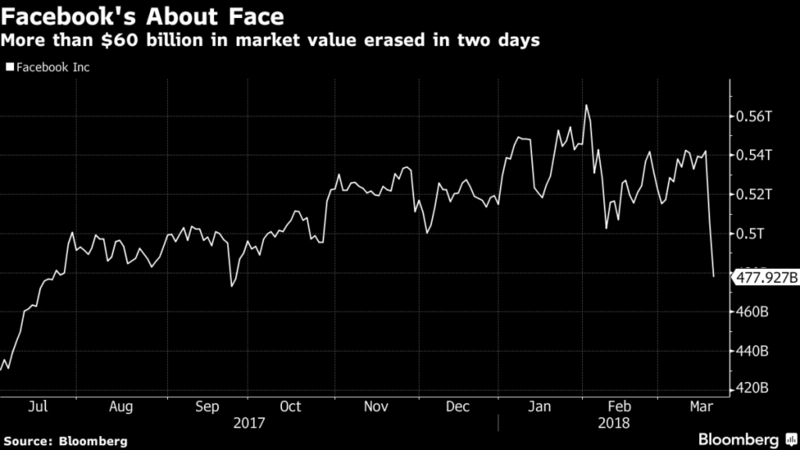 The company on Tuesday was beset on two continents by governments suddenly focused on data security and investors unliked its stock to the point that it lost $60 billion in value. The Menlo Park, California, company, whose social network is a ubiquitous venue for social and political life, is drawing the unaccustomed unwelcome attention after the disclosure that it released the personal data of 50 million users to an analytics firm that helped elect President Donald Trump. The company, Cambridge Analytica, has been implicated in dirty tricks in elections around the globe. CEO Zuckerberg may have to do a tour of European parliaments to appease lawmakers. Damian Collins, head of a U.K. parliament committee investigating the impact of social media on recent elections, invited Zuckerberg to answer for a “catastrophic failure of process.” Shortly thereafter an invitation followed from European Parliament President Antonio Tajani. Separately, EU Justice Commissioner Vera Jourova said she also plans to discuss the matter with Facebook during a visit in the U.S. this week while Italian telecommunications regulator AGCOM requested Facebook to provide information on data use. Zuckerberg and Chief Operating Officer Sheryl Sandberg haven’t yet spoken publicly about the data leak, despite the global firestorm. When Zuckerberg addresses staff on Friday, he’s certain to face questions about the controversy. The U.S. Federal Trade Commission is looking into whether Facebook broke the terms of a 2011 consent decree. The FTC is the lead agency for enforcing companies’ adherence to their own privacy policies and could fine the company if it finds Facebook violated the agreement. Facebook said it would conduct staff-level briefings of six congressional committees Tuesday and Wednesday. That includes House and Senate judiciary committees, as well as the commerce and intelligence panels of both chambers. The attorneys general of New York and Massachusetts sent demand letters to the company, the first step in a joint investigation. Facebook’s stock price fell as much as 6.2 percent in New York before closing 2.6 percent lower. The stock has slumped more than 9 percent since Friday’s close, giving up about $50 billion in market capitalization. That’s almost as much as the total value of Tesla Inc. The world’s largest social media network was sued in San Francisco federal court Tuesday by shareholders in a class action who said they suffered losses after the disclosure that Cambridge Analytica improperly obtained profile information on 50 million users. Free fall aside, Wall Street analysts remain upbeat. Buy recommendations continue to roll in and price targets reflect a potential return of 35 percent. Out of the 43 analysts who recommend buying Facebook shares, not one has downgraded the stock over the crisis. However, many acknowledge that bad publicity could keep the stock under pressure. The political consulting company whose own troubles engendered Facebook’s was also rocked Tuesday. Cambridge Analytica’s board suspended CEO Alexander Nix after he was shown on video discussing entrapping politicians with bribes and prostitutes and spreading disinformation. Britain’s Channel 4 News aired the third part of an undercover investigation that showed Nix bragging of running research, data and targeting for the Trump campaign and deriding U.S. lawmakers. He also said the company used an email server to communicate with clients and eliminate evidence of contact. Kenya’s opposition party demanded a probe after Channel 4’s disclosure that Cambridge Analytica spread propaganda amid election-related violence that left 92 people dead. 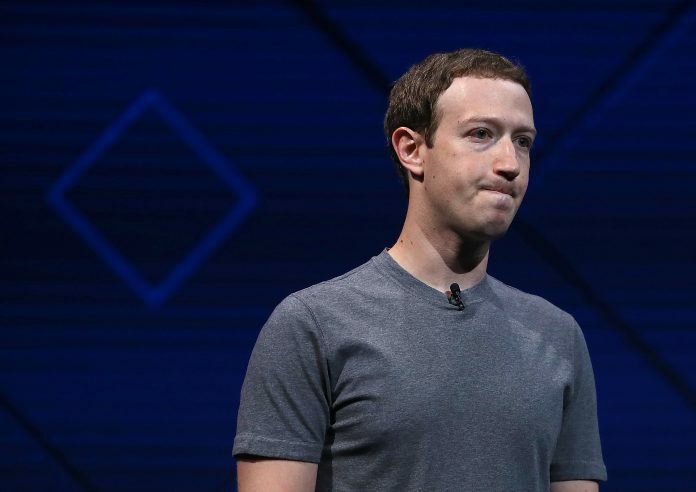 Facebook users don’t have to look far for instructions on how to extricate themselves or their data: Across the Twitterverse and blogospheres, outraged users have said they’re deleting their accounts and how-to instructions are making the rounds. Tech sites have published guides on how to deactivate or control carefully curated social media accounts. The brushfire comes at an inauspicious moment. Daily active user growth in the U.S. and Canada declined from 185 million in the third quarter to 184 million in the period, the company reported last quarter. That signals the first loss on a quarter-over-quarter basis in the company’s history. Published by special arrangement with Bloomberg.